This article describes the pricing and hedging of wind power contracts. It demonstrates that substantial discounts relative to baseload power prices are reasonable to cover the negative wind-price correlation and to cover the difficulty of hedging price risks. In this article, we outline a sound approach to the assessment of wind power projects, based on a careful analysis of project returns. In particular, we describe a number of hedge mechanisms and highlight some common pitfalls in structuring wind power purchase agreement (wind power PPA) deals. Wind power is one of the most viable options to meet renewable energy targets. The attractiveness to investors depends on investment costs, expected future power price and (heavily) on the subsidy regime. But with the steady increase of wind production, the ability to secure future cashflows and to manage the risks becomes a key issue as well. Wind power PPA’s typically contain discounts relative to the market forward prices. This derives from the difficulty in forecasting wind production and the variability in wind production, the correlation with market prices (imbalance and day-ahead). Our analysis demonstrates that a considerable proportion of the price risks, both short-term and long-term, are unhedgeable and should be incorporated in additional discounts. It is our experience that these risks are easily overlooked and wind power priced too optimistically. 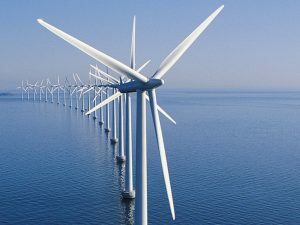 More info on wind power PPA? When you are interested in information about pricing of wind power and a wind power PPA, please contact KYOS.